IT automation has proved itself to be tremendously beneficial for the organisations, irrespective of size, shape and niche industry. Still there are many decision makers, who fail to understand and make use of this amazing technology. They fail to recognise what the technology can do for their company. 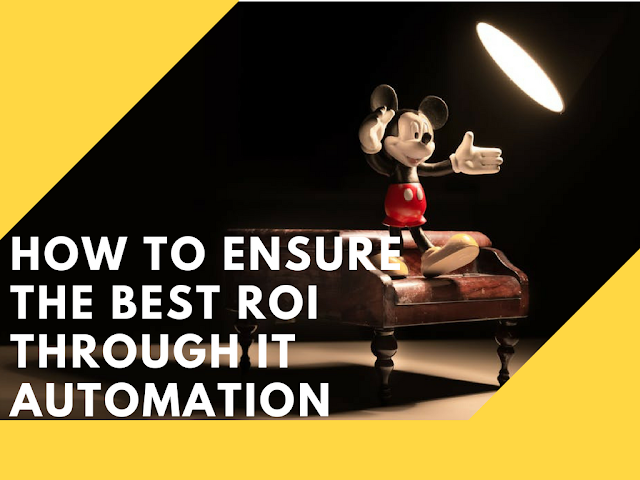 In order to explain the importance of automation for business growth and how it can be used to maximize ROI, here are some tips to improving automation ROI. Assessment of requirements and possible benefits – The key purpose for incorporating automation into a business is to deliver utmost efficiency, in terms of workload, people, consistency, time and output. For basic automations, the benefits usually come in the form of savings and time. But with more complex automations, you can expect a lot more. Such automations practically replace human intervention across the company so it yields better and broader benefits. So before choosing any, you must evaluate all the processes that involve great deal of time taken by labor-intensive activities and the frequency through which the activities take place. This would help you understand the benefits of automation and calculate its realization after implementation. Apart from effort reduction, you should also calculate and compare other important factors that can be otherwise improved with automation. Such factors may include error rate, mean-time-to-resolve of MTTR, process compliance and so on. Integration of the processes – The motto of automation is to replicate and replace repetition of human tasks. 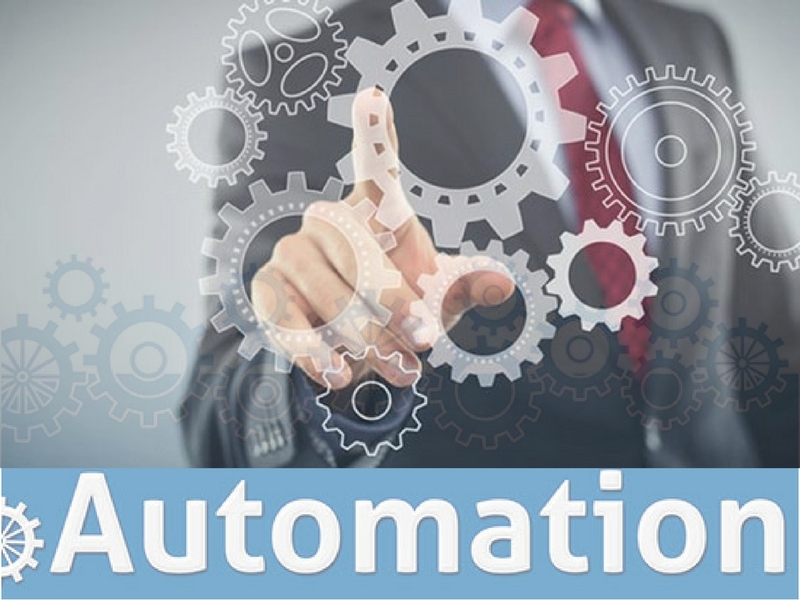 To get the most from automation, you must understand where it fits perfectly, its potential effect before and after implementation, triggers on which it may execute and lots more. Understanding the entire process by being clear about such issues would help you apply automation in your company more broadly. Any task is only a step in the whole process. And by assessing the process, a succession of automation may be defined and chained together into a single process. Testing – Once automation is properly defined and integrated into the current processes, you must check its performance in different circumstances, assess the outcomes and confirm the success. Many companies prefer to do this is a phased approach while releasing automation into development system and eventually into production. This may kill your precious time, but even then you must follow this step to ensure success and efficiency of automation. Realization of benefits – After automation has been implemented in your company, you must evaluate its real-time performance and validate delivery of the previously mentioned efficiencies. Besides, it is also important to constantly measure and assess automation. By reviewing the execution log regularly, you can ensure a process of constant development, improvement and refinement of the process. Also, you should check reduction in time, improvement is resolution of issues and other benefits. Considering the facts, businesses are getting interested in implementing automation. 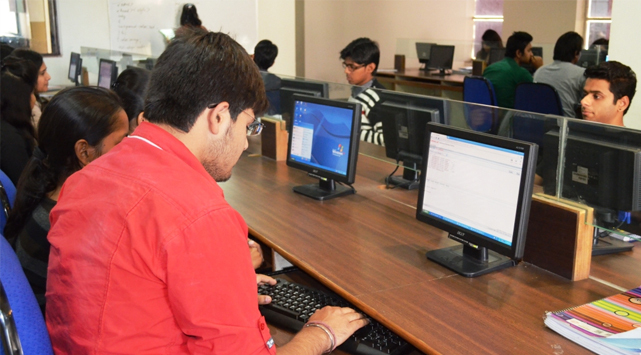 And thus there is a huge demand of automation training amongst IT students. Automation institute in Kolkata offers excellent courses in automation. However, widespread of automation couldn’t reduce the demand of getting admission in an animation institute in Kolkata and become an animation artist. For someone can aware of the term, ‘animation’ is basically the perfect blend of art and technology where moving images can be created using 2D and 3D to educate, impress, and entertain users and viewers. According to a survey recently conducted, the number of students showing interest in pursuing a career in animation is gradually enhancing. This is primarily because the animation industry has projected itself as one of the most promising job providers. Candidates are working really hard to become a part of this industry and make a mark. This isn’t a daunting task if you can undergo training in animation from a renowned institute. With numerous of them scattered all over Kolkata, you need to choose one who is reliable and has years of experience in the industry. Since all will claim to be the best, make sure you choose an Animation Institute in Kolkata after considering all the vital points. Unless you know what exactly the institute is offering or the topics included in their syllabus, you can’t stay assured that you are investing in the right institute. Look for one whose complete focus is on honing your skills. If they are interested only in the technical aspects of the job and expect you to learn the skills on your own, you better move on to the next institute. Assess your weaknesses and check whether they will cover those. Since you have to shoulder the responsibility of choosing from numerous institutes, you need to understand what sets them apart. Have a look at the features they offer and their infrastructure. Having cutting-edge software is always an added advantage. There are a few institutes who offer communication and personality development classes so understand your requirements, strengths, and weaknesses before choosing one. A bit of research is a must if you are willing to have peace of mind. Check their credentials or read their reviews online as it will give you an estimate about their reputation. You can also have a conversation with the faculty members or alumni to know a bit more about their past records or their approach. If they are confident, you can stay assured that you have approached the right animation institute. Since you are investing your time and money to craft a successful career in the animation industry, checking whether they offer job placement facilities before getting enrolled is a must. If you are willing to know which studios or companies their students are given placement, you can have a look at their website to check the placement facilities provided by them. Getting enrolled in an institute offering placement assistance will offer you complete peace of mind. This being said, make sure you consider the points stated above before approaching an animation institute so that you can rest assured. Animation movies such as Minions have made a firm place in everyone’s heart. You can talk about Bahubali as well. You know how it made ripples in the Indian film industry and earned in millions.. Considering the gigantic undulation and the huge revenues they’ve generated, creative students, nowadays, are getting inclined to animation courses in their cities/towns. For example, a student from Kolkata will look for an animation institute in Kolkata. They want to be a part of such groundbreaking events. But with a number of private institutions and animation colleges mushrooming almost in every nook and corner of the metros as well as towns offering several different courses on animation, students get befuddled about which course to join. These academic organizations usually offer career courses or job-oriented courses, but many times they fail to face the reality. Doing a 3 or 5 years of animation course hardly guarantees a lucrative job offer. Utmost professional VFX and animation studios both at national and international levels look for real talents, who besides having specialized degree have outstanding technical skill. If you are in search of a domain-specific job such as Roto Artist, Video Editing, Flash Animator or Paint Artist, you can opt for a short-term course or VFX course. Benefits of such crush courses are really notable - besides being short, they are job-specific and can place the students in the suitable niche within a shorter time span than that of conventional long-drawn animation courses. There are many noteworthy and distinguished film and animation personnel who don’t have interest in hiring people with bunch of certificates; rather they want to hire real skills. Here are some useful tips for the students looking for domain-specific jobs in the field of animation and VFX. Specialization – Many leading animation schools offer short-term courses on multimedia topics such as post production, editing, rotomation etc. Before you make any decision, ask the course adviser clearly about the curriculum. Also check if there is any specialization available with that course. Learning materials – Animation institutes mostly offer self-published books and other learning materials as an integrated part of the course. Make sure you check the quality of those materials before getting admission. Duration – There is no specific limit in terms of course duration – they may range from only a month to several years. So before you proceed, ask yourself how much time you can afford in order to complete the course. Fees – Fees of the courses depend mostly on the institute’s technical resources, infrastructure, faculties and placement tie-ups. So it’s recommended to perform a thorough research, get quotes for the particular course you want to continue from at least 2 to 3 institutes and compare accordingly. You should always ask for if there is any discount for your proffered course. Placement – This is perhaps the most crucial part of your homework. You must be aware of what type of placement they offer. Top-notch animation institutes of India usually provide placement assistance with every course as a complementary feature. So before making admission decision, it’s highly suggested that you go through the pointers and make your decision worthwhile. The Ultimate Guide To Join A Top Automation Institute In Kolkata! Do you wish to work with big companies? Are you looking for ways to enhance your practical skills and technical knowledge? Still wondering how to grab your desired position? Trust us; enrolling in an automation training institute can undoubtedly be one of your best career decisions ever! When it comes to professional advancement, nothing can be more beneficial than a training program which can give your career the upliftment it needs. Automation is the use of several control systems which are essential for the operation of equipment like machinery, boilers and heat treating ovens, stabilisation of aircraft and ships and other application with minimal human intervention. Since technology is changing at a rapid pace, a good training in the same can help you to prepare and succeed in the competitive job market. Keep reading to learn all that you need to know about joining an automation training institute! Why Should You Enrol For Training In A Renowned Automation Institute In Kolkata? By opting for a training program in automatic control, not only can you develop the necessary skill sets but even improve your efficiency to tackle the challenges of the real world. This training prepares candidates with essential capabilities to meet the changing demands of the market and get ready for the upcoming challenges. The right training course can even upgrade a trainee’s skills as per the industry trends and specific requirements of the clients. Through the right program, candidates can even get an exposure to the various scenarios of the automation industry in advance. By opting for a training program at a leading automation institute in Kolkata you can equip yourself with knowledge which will help you to join the best mega-giants in the industry. It is important for every business to expand and upgrade continuously in this competitive world for maintaining an edge over their peers in this industry. Since increased production, reduction in total costs, improved manufacturing process, better efficiency and accuracy can be the best ways to stay ahead in the race; opting automatic control can undoubtedly be a wise business decision. Companies which supply equipment and software for automatic control. Now that you are aware of everything related to automatic control, don’t you think that opting for a training program in the same can indeed be an informed choice? Quickly find a reputed training institute and give your career the boost it needs! Are you unable to decide the right institution for pursuing animation? Looking for the institute which you help you harness your skills and boost your career? Do you think you need help to decide the right education organisation? It’s time you know the vital considerations then! Animation can be the perfect course to give wings to your creativity and imagination. You can give life to cartoon characters and fill them with human-like emotions. However, with the presence of numerous colleges all throughout the nation, selecting the right one often proves to be a daunting task. What makes it more difficult is that every education organisation claims to be the best institution! Have a look below to know the factors you need to consider while selecting the right college for this course! Institutions offer both short-term and long-term courses related to a specific multimedia industry. This includes- editing, rotomation, post production, etc. Reputed colleges even offer courses on advanced multimedia. Go through the course curriculum and check whether your preferred specialisation is offered. Other than checking the age of the organisation, you need to check the quality of their website, facilities offered, hostel provision, admission team, information content in their brochure, etc. Further, check if their courses are accepted throughout the nation. A well-known animation institute in Kolkata is one which boasts of an experienced faculty. Remember, only when you get the guidance of real professionals can you be assured of a promising career ahead. A good faculty ensures that their students get a thorough knowledge of the subject and have an in-depth knowledge of the same. Inquire about placementCheck if the college offers assistance or has some partnership for placements. You can even inquire about the placement process from the authorities. Leading institutions offer 100% placement assistance since they understand how important placements are for a student. Check the course duration and feesThese courses can be of any duration ranging from few months to years. While selecting the right institution, determine the time you can devote to a course and choose accordingly. Further, you should inquire about the fees to verify if they are within your affordability. Check if the institution offers any fee relaxation for special cases. So what are you still waiting for? Now that you know the key points, it’s time you make a wise decision! If you are willing to enhance your skills and uplift your career graph, undergoing an animation course is indeed a cool decision. The field of animation is the unique form of art that can give wings to your creativity as well as imagination. It can fill your cartoons with life, feelings, and emotions just like a human being. Though opting for an animation course is alluring, make sure you possess abundant creativity. This industry is indeed competitive as numerous students enrol for this course every year. The main reason behind this is supposed to be the high salary pay scale of these animators. No wonder, there are numerous institutes offering the course all over Kolkata. You can choose from a wide range of courses, depending on your eligibility and interest. But before you decide while course is ideal for you, make sure the Animation Institute in Kolkata you opt for helps you in developing a good foundation in the subject. Make sure the institution has a part of their syllabus or content totally dedicated to ‘visual literacy’. This is helpful in inculcating in you the right basics, negligence to do so can make it harder for you to understand advanced topics. Visual literacy is also vital for those willing to know their strength and weakness on this subject. Track RecordGoing through the track record of the institution is a must so that you don’t end-up choosing an incapable institution. But track record does not necessarily mean how many years they have been in the industry; you need to check the quality of their existing website and professionalism. Go through the content provided on their brochure or have a clear chat with the admission team. Few institutions offer unique and inspiring features which are included within their course fees. Though the prime focus is always on the mainstream course, Professional Certifications or modules on Personality Development is given equal importance. Sometimes seminars are also arranged and delivered by some of the industry experts. A vital characteristic to look for in the institution is whether they offer placement facility. Some offer placement assistance while others guarantee 100% placement. Though opting for one offering the latter is not advisable, rather ask them their method of placement assistance. Preparing the students for demo-reel is also vital as it helps in laying the base for their job prospects in the future. Getting guidance from learned and experienced faculty members is vital if you are willing to gain the skills necessary to excel in this industry. Make sure the faculty team consists of senior faculty members who have prior experience in the industry or hold recognised professional certificates. This being said, it’s time to follow the tips stated above and choose the ideal animation institute to give your career the boost it deserves.